Big Walnut sophomore Colbi Borland and Buckeye Valley freshman Chloe Dawson set a pair of school records at Saturday’s Hank Smith Invitational in Heath … and did so in the same two races. Borland won the 1,600 in a record-setting time of 5:12.49 while Dawson finished second with an effort of 5:14.29 — a program-best time in its own right. It was a similar story in the 3,200. Borland and Dawson finished second and third in respective school-record times of 11:21.81 and 11:41.17. The two played key roles in what turned out to be a pair of solid showings by their respective teams. Big Walnut won the meet with 103 points while Buckeye Valley finished fourth with 58. In other words, the Eagles stepped up … and did so against some of the best competition they’ve seen so far this season. BW picked up first-place points in the 4×800 relay as Alina Pecci, Adelee Gartner, Grace Unger and Becca Bogantz teamed up to finish in 10:21.17. The Barons finished second in the event as Jia Radloff, Ashley Beatty, Bailey Kreft and Chayse Arnhold combined to cross the finish line in 10:34.91. Other Big Walnut standouts included Kaley Rammelsberg, who won the high jump (5-04) and long jump (15-06.75) and finished second in the 100 hurdles (15.98 seconds); the 4×400 relay team of Tori Buxton, Hannah Pinkston, Hannah Unger and Kaitlin Meade, which finished second (4:17.16); and the 4×200 relay quartet of Pinkston, Hannah Unger, Buxton and Meade, which also finished second (1:50.53). Buckeye Valley, meanwhile, also got a solid showing from Nina Hilt, who won the triple jump (31-03). In boys’ action, Big Walnut finished second with 78 points while Buckeye Valley closed sixth with 56. The Golden Eagles were led by Tim Rumas, who won the 100-meter dash (11.40 seconds); Brandon Mosher, who secured top honors in the discus (151-10) and shot put (54-01); and Caleb Ramey, who won the long jump (21-00.25) and triple jump (43-03). Zach Kreft and Joey Verdes boosted the Barons. Kreft won the 1,600 (4:20) and finished second in the 800 (1:59.45) while Verdes picked up second-place points in the high jump (6-02) and long jump (20-03.25). The Olentangy Liberty girls and boys track and field teams were solid Saturday, both winning the Vandalia Butler Invitational for the second straight season. The girls took top honors with 197.5 points while the boys finished first with 170.33. Sophia Englehart won the 100 hurdles (16.48 seconds), Lauren Walsh won the 100-meter dash (13.27 seconds), Grace Sprankle won the 1,600 (5:14.81) and 3,200 (11:09.68), Sydney Englehart picked up first-place points in the 400 (1:01.27) and 200 (26.78 seconds) and Nicole Tonetti won the long jump (16-11.50) to pad the Patriots’ point total. The girls also won the 4×800 (10:37.11), 4×200 (1:50.02) and 4×100 relays (50.76 seconds). The boys got wins from Ryan Miller in the 110 hurdles (16.28 seconds) and Joseph Johnson in the 800 (2:01.94). They also secured top honors in the 4×800 (8:34.46) and 4×400 relays (3:38.43). 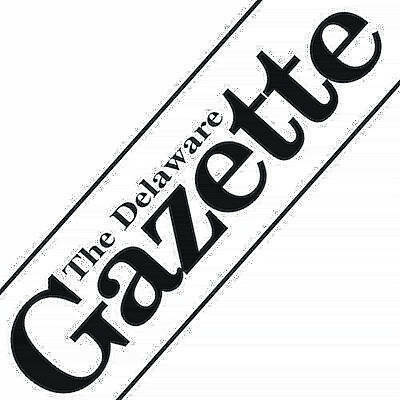 Lyssi Snouffer won a pair of events and finished third in another to lead the Delaware Christian girls track and field team Saturday in Lakewood. The sophomore standout picked up first-place points in the high jump (5-04) and long jump (14-04.75) and finished third in the 200-meter dash (28.60 seconds). Abbi Maurer also made some noise for the Eagles, finishing fourth in the discus (91-05).